Delicate seed pot by Israel Renterias. 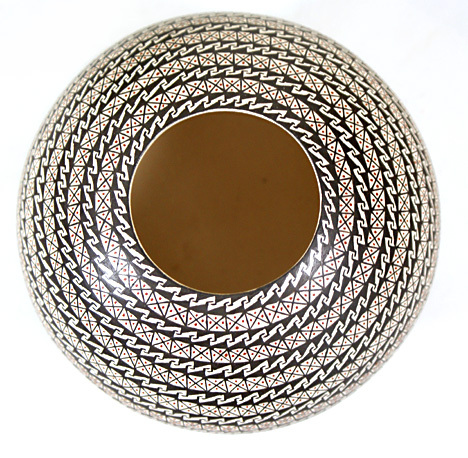 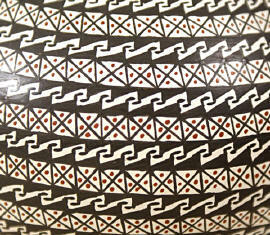 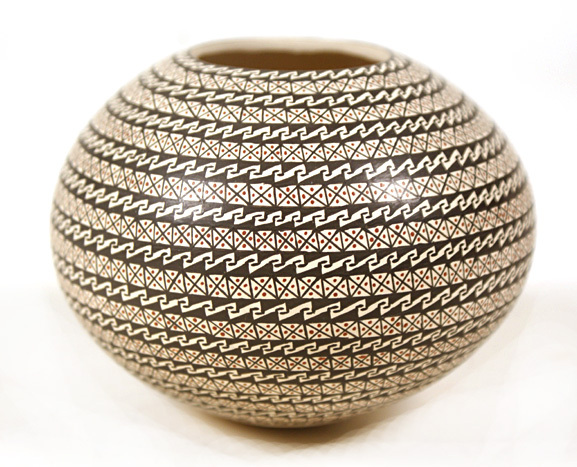 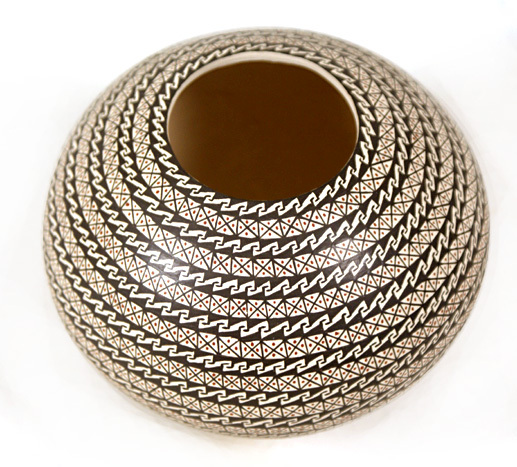 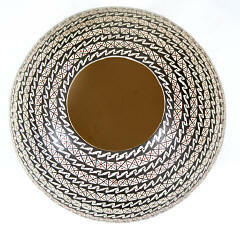 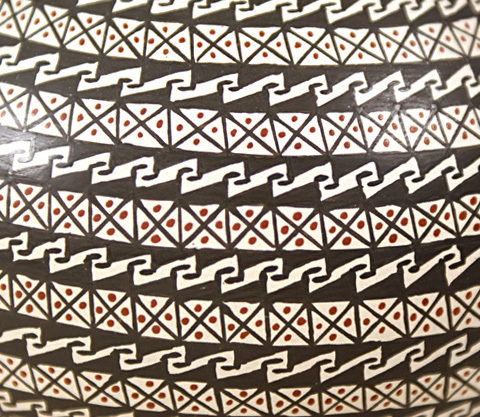 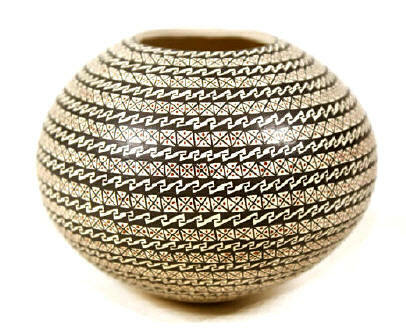 This attractive off-white olla has a very nice geometric design. 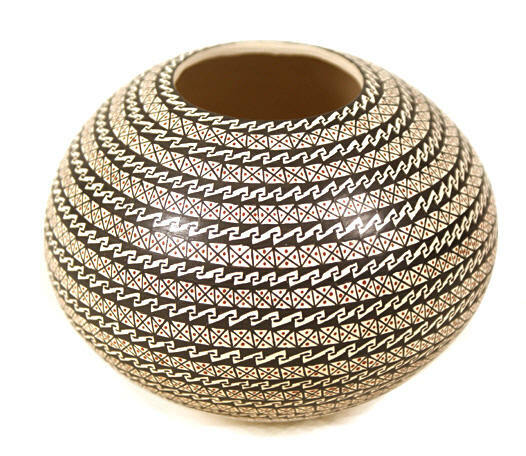 You can always remove it at check out!